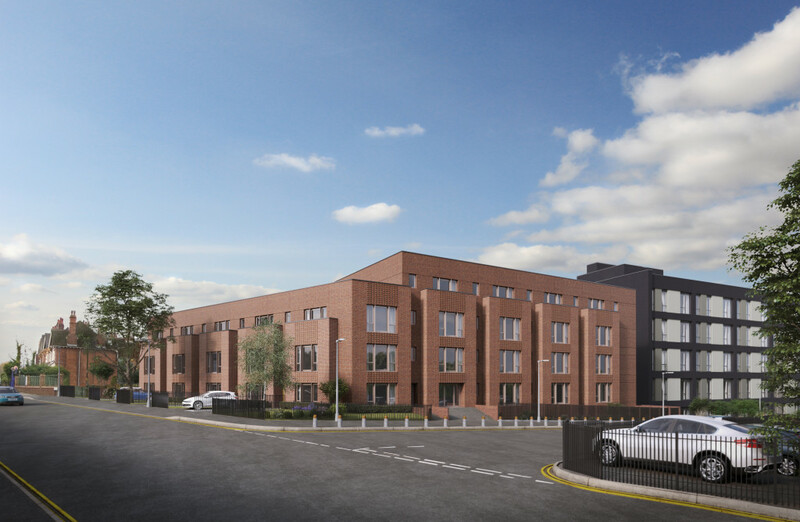 The development site is located on the boundary of the Bournville conservation area and is subject to contrasting scales of the built environment: domestic on Mary Vale Road, and Office/Factory/Industrial on Franklin way. We undertook detailed analysis into the history of the design of properties within this sensitive conservation area which was developed in the late 1890s through to early 1900s. 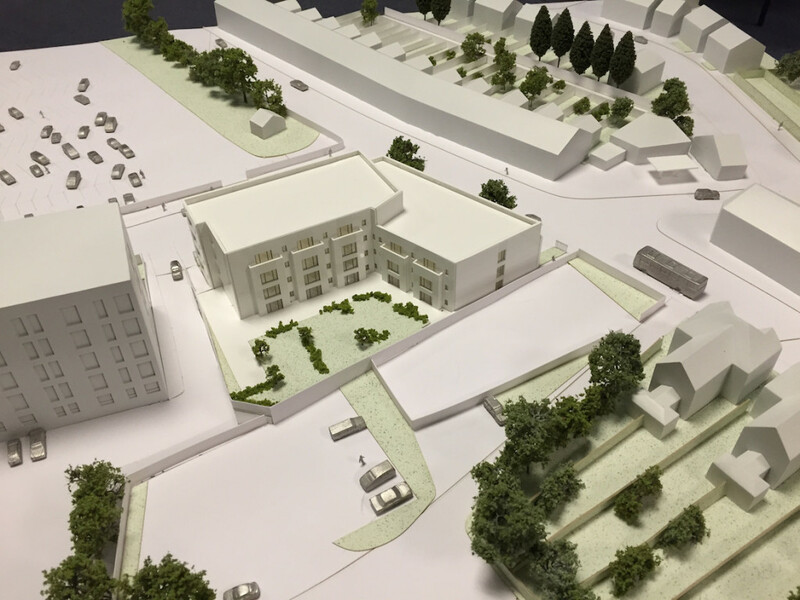 Local residents provided valuable comments and feedback during a consultation event which took place before the scheme was submitted for planning approval. 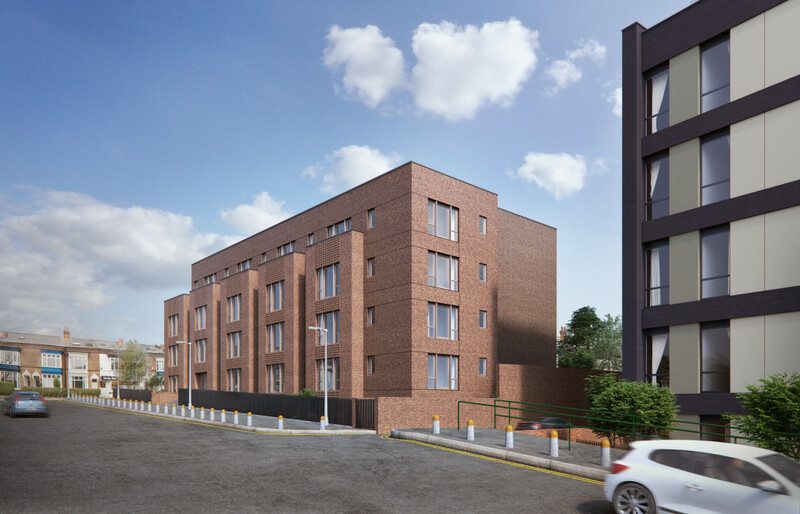 The proposed development has been designed to fit in with the existing street scene and mediate between the small-medium domestic scale and larger nearby factory buildings. Window elements will project out to the street. They form the primary elements to the facade, and reference the nearby symmetrical semi-detached houses. As the development rounds the corner into Franklin Way, its form will step up to 3 storeys towards the larger mass of Franklin Phase 1. Textured brickwork on the projecting window elements will add visual interest and help to soften and break down the overall mass of the development. A landscaped communal garden above the resident car park creates open space at the rear of the site. This is in keeping with the character of Bournville village as a place with numerous recreation grounds and green spaces.